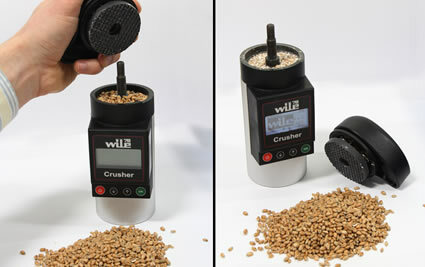 We are proud to present you the all-new grain moisture meter: the Wile 78. Pre-programmed for more than 20 grains and seeds, it only requires a small sample of grains to carry out a test, and this in less than 20 seconds. Equipped with an integrated average calculation function for precise measurements, its main characteristic is its unique compaction by crushing process.